Just because our organizations employ a separate Search Engine Optimization (SEO) team doesn’t mean that Content Writers’ job is only to write long lines of text and deliver to the SEO. It’s true that content expertise should focus on their writing styles, but a little bit of SEO knowledge, including keyword -rich and business-focused writing is highly valued. Other researching techniques like analyzing the website for what you are writing and hot topics in the market with high Google search ranking also contribute brilliantly to your article sharing. 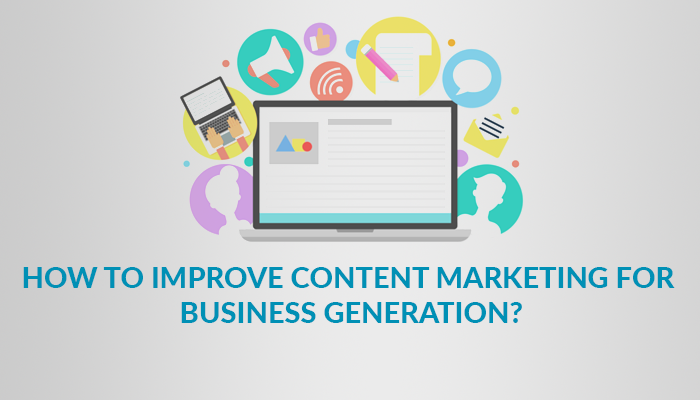 If done correctly, content marketing can generate wonderful results, both for the organization and blogger. Since the present businesses require tons of content to be produced every day, this is the perfect time to improve and qualify your content writing strategies because content marketing is no longer a numbers game. It’s a game of relevance. While you think of implementing few changes in your editorial column and online blogging, consider these tips. While we have two types of businesses, B2C (business-to-customers) and B2B(business-to-business), the content must be tailored differently. In B2C, we need to touch the consumers across the globe and thus, personalized content, storytelling approach, informative words with real-time implementation, tips and tricks that could benefit them in their personal and professional life can increase your readers. Use infographics, videos, images and templates to make it attractive for audiences of all ages. To create videos you can take a look atÂ Shakespeare video production company and improve the content on your website. We spoke to some specialists from Secret Hideout, a digital marketing re-thinker & innovator and according to them, SEO is not something you do anymore. It’s what happens when you do everything else right. As mentioned earlier, you must start putting extra efforts to know how to make your content SEO friendly. Make use of keywords, jargons and phrases that can take you up in the search engine pages and you get identified on the first page only. Involve yourself in discussions with SEO as well as Sales team as they can tell help you better understand your consumers and tell you most timely and relevant topics you must pick and write. It’s well said that if you are trying to grow your qualified search traffic, you have to combine your content marketing with your SEO efforts. Nothing technical and tangible, but many times our writing becomes torpid and constant even if it is excellent, the scope of improvement and ambidexterity ceases. We have never cared to meet other people of our forte, but it is truly essential to plan a meet and discuss topics over coffee with other content marketers. Believe it or not, it will certainly help you broaden your theories, thoughts and approach. An organization has hired you so that you can bring business and be resourceful to them. Keeping it in mind, make sure to brand your product and services accurately, timely and to the right audience. Don’t just loom in your writing so much that you stop being productive. Adding to the branding, keep a check that you and your team uses various channels for influencing the consumers like social media (Facebook, YouTube, Instagram, LinkedIn and others), mailers, sponsored posts, SEO, advertisements and paid searches. Always remember “Content is fire & Social Media is Gasoline”, the more you promote it on social media the more your brand recognized by others. This entry was posted in Marketing, Searh Engine Marketing and tagged How to Improve Content Marketing for Business Generation?. Bookmark the permalink. ← How Big Data Transforms the Digital Marketing?